Our product range includes a wide range of network management service. We provide the Network support for best Network SLA (Services Level Agreement) in terms of LAN management (Any Private Network), WAN management (Any ISP and Public network), Firewall (Any H/W & S/W devices such as UTM-Unified Threat Management, RSA-Key, eTokens or Programme) Management etc. We manage the RDP/RIS sessions for any corporate or Business in a very secure way. 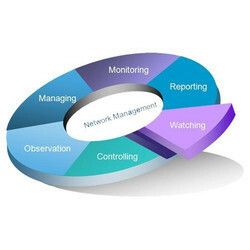 Looking for Networking Management Service ?